Home Blog Gay-Friendly Hotels What Makes a Hotel Gay Friendly? 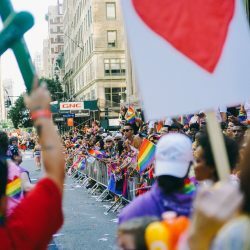 What Makes a Hotel Gay Friendly? We wanted to give you a little insight to how we select hotels to become part of our portfolio. We’re not a hotel brand that simply emits anyone, no – we actually talk to the hotel and discover as much as we can about them and the local area especially for you. We need to make sure you enjoy your stay and make the most of any trip you make, therefore when we approach a hotel or hotels approach us it is essential that they fully commit to providing you with a comfortable experience. Now don’t think it’s just a few check boxes, we go much further to filter out those supposedly gay friendly hotels and dig deep down to their service and the local area. We accept only hotels in countries where homosexuality has been decriminalized. We look at the hotel’s location within a city (preferably in LGBT popular areas). Min 3* properties, this will provide you with good comfort levels. Hotels with character and unique qualities, to provide you a new experience. Please name at least two gay or lesbian restaurants in your area. Please name at least two local gay bars in your area. Do you have information about the local gay scene available at your front desk/concierge? Do you enforce non-discrimination policies in regards to the way you treat your staff and guests? Is your hotel a member of the International Gay and Lesbian Travel Association (IGLTA)? Is your hotel a member of Community Marketing’s “Tag Approved Accommodations” certification program? This, again, is to make sure that we are welcomed and have the most essential information at our fingertips. There’s nothing worse than asking where the nearest gay bar is and getting a complete blank expression. 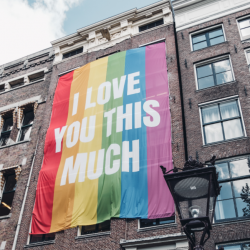 Once we approve the hotel, they then have to create an Out & About guide, which provides you with all the useful information about the hotel’s local gay & lesbian scene (including restaurants, bars, cultural events and other information). So you can check this out on all pages of our hotels in our portfolio. This is a prerequisite, without it the hotel will not be accepted. To see some example of Out & About guides created by our member gay friendly hotels click here. The portfolio of gay friendly hotels you can find on the World Rainbow Hotels website is not the end, we are continually adding more as we discover hotels in new locations we have not covered and hotels call to become part of our portfolio. 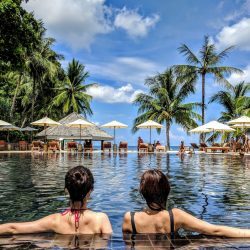 You will see extensive growth in Asia, India and South America creating packages that are specific to the gay and lesbian traveler – we know we’re unique and we will do our best to make sure hotels know it!!! Don’t forget, if you’re booking through a travel agent, tell them about World Rainbow Hotels and they can book you one of our gay friendly hotels as part of your travel package. Whatever happens, travel safe, be confident and enjoy your experiences.